Twelve young performers from the Branson area experienced a journey of a life-time this past week as they successfully fulfilled a dream that began six months ago; an opportunity to participate in one of the Nation’s leading high school music education programs, Festival Disney in Orlando, Florida. The students (from youngest to oldest) include; Hallie Groff (9), Jake Musser (13), Sydney Pride (13), Megan Rodgers (13), Jordan Kendrick (15), Noah Beyer (15), Moritz Mund (16), Jacob Deeter (16), Alex Knudsen (16), Carter Hendrickson (16), Dani Groff (18) and Brenna Kellem (18). In August 2019, the Branson Regional Arts Council (BRAC) announced a new youth education program to provide vocal music, dance and theatre training for area students between the ages of 8 and 18. Open auditions were held at the Historic Owen Theatre, and from the dozens of youth who tried out, six boys and six girls were selected to form a musical show choir group called “Staccato”. This advanced choir combines a challenging musical repertoire with entertaining choreography to provide a unique, one of a kind, arts education experience for young students in the Branson area. Kim Hale is the Vice President of BRAC and serves as the Educational Advisory Chair for the new arts program. Lloyd Alexander-Holt is the BRAC Education Director and Director of Vocal Studies, Kristen Dasto is the Director of Dance Studies, and Jacob Estes is the Director of Theatre Education. Shortly after the show choir was formed, these talented directors announced an ambitious goal of sending Staccato to perform at the Festival Disney event. Since that time, the talented troupe of performers has been very busy rehearsing, fundraising, and performing at various area events including the Grand Opening of the new Mercy Branson Multi-Specialty Clinic, the Mayor’s Christmas Tree Lighting Ceremony, the DBBA’s Piccadilly Gala, as well as multiple performances at the Historic Owen Theatre and as a pre-show for the Hughes Brothers Theatre. Their performance at Festival Disney was reviewed by nationally respected members of the National Music Adjudication Coalition including Dr. Gregory Fuller (Director of Choral Activities at The University of Southern Mississippi), Dr. Craig Zamer (Director of Choral Activities at Tennessee Tech University), and Dr. Kathleen Shannon (Conductor and Vocal Pedagogue with extensive credits) who also spent several minutes with the students and directors after the performance to offer her expertise and professional assessment and guidance for further improvement. Comments from these professionals were extremely enthusiastic and positive, providing a perfect conclusion to an exciting week of Disney Magic for these deserving students. In addition to the directors named above, other integral members of the BRAC Education program team include: BRAC President Lisa Murphy, Vocal Instructor Perry Harper, Administrative Assistant Karie Dykeman, Fundraising Coordinator Viola Beyer, Executive Director Jim Barber, and additional Festival Disney trip chaperones Roz Slavick and Michelle Rodgers. 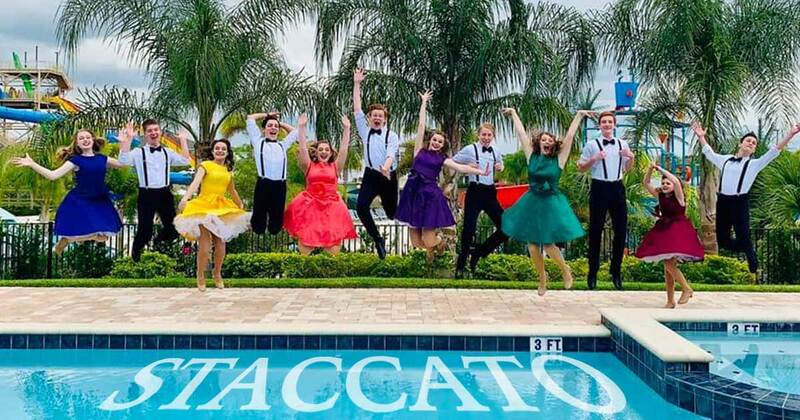 Area residents interested in seeing these talented young performers in person, are invited to attend a free community concert featuring Staccato on Thursday, May 16th at 7pm at the Historic Owen Theatre in downtown Branson. There is no charge for admission, but as seating is limited to 200, advance online reservations are available at BransonArts.org/may16 or by calling the Branson Regional Arts Council at 417-336-4255. Auditions for the 2019-2020 cast of Staccato will be held in July at the Historic Owen Theatre. Interested students are asked to watch the Branson Regional Arts Council Facebook page, or official website, BransonArts.org, for upcoming information. The cost to participate is $25* per child, with proceeds benefiting the Branson Regional Arts Council’s Youth Education Fund (*$3.00 per ticket service fee applies). Parents are admitted free of charge and welcome to sit in the back, while their child enjoys a fun, 75 minute party with Belle herself, the “live” star of Disney’s Beauty and the Beast! 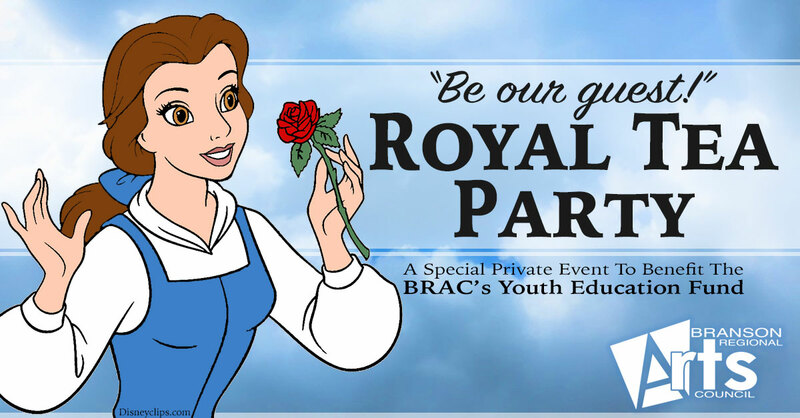 NOTE: Tickets for Disney’s Beauty and the Beast musical are not included in the Royal Tea Party and must be purchased separately at BransonArts.org/tix. This is a chaperoned event, but parents are encouraged to attend and sit in the back while the kids gather at the front area of the theatre house! Personal visit with the star of the show, Belle! Photo opportunities with your own camera! Treat your child to this very special event, and you’ll also be making a difference in the life of another child who participates in the BRAC Youth Troupe SHOWSTOPPERS or BRAC Show Choir STACCATO as part of the BRAC Education Department. 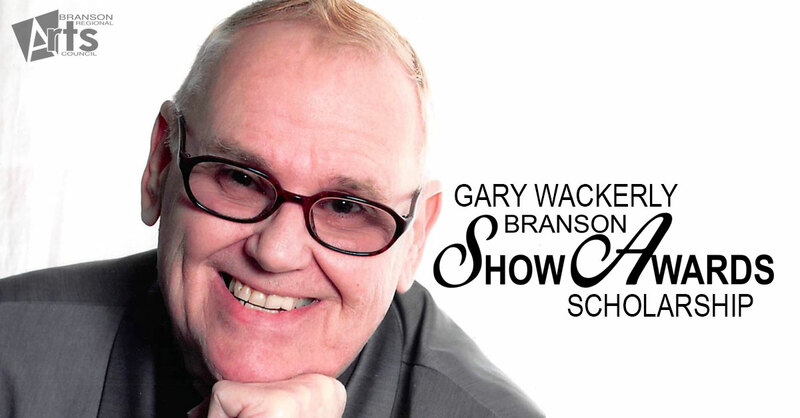 The Branson Regional Arts Council announces the establishment of the Gary Wackerly Branson Show Awards Scholarship Fund which will soon benefit young students from the Branson Tri-Lakes area. As an associate member of the League of Branson Theatre Owners & Show Producers (Branson Show League), the Arts Council has agreed to administrate the scholarship fund in memory of Mr. Wackerly who lived in Branson for 16 years, and passed away on January 5, 2019 at the age of 72. A long time supporter of the Arts, his love of Branson Shows, Theatres, and Music, has been greatly appreciated by our area entertainers and community members. Through this scholarship, Mr. Wackerly’s enthusiasm for the entertainment industry will be communicated to future professionals in the Performing Arts world. 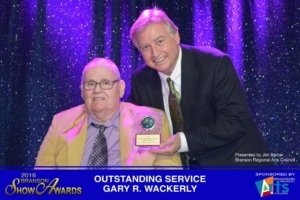 The Wackerly family, along with the Arts Council and the Show League, have designated that the scholarship be awarded to a Theatre, Music, and/or a Math Student from a High School in the Branson Tri-Lakes Area. When application information and funds are ready for distribution, the Branson Regional Arts Council and Michael Wackerly (son of Gary Wackerly) will then select winners and present recipients their scholarship on the popular radio and television show “Branson Country USA”. Donations should be made out to the Branson Regional Arts Council (or BRAC) and designate proceeds to go to the Gary Wackerly Branson Show Awards Scholarship Fund. All donations are 100% tax deductible. Checks may be mailed to: Branson Regional Arts Council, PO Box 2004 Branson MO 65615.